Oryx Rotana, the five-star luxury business hotel in Doha is all set to welcome Michelin Starred Chef, Nicolas Isnard of L’auberge De La Charme for five days from October 15 to 19 at its renowned “The Cellar” and “Choices” restaurants. 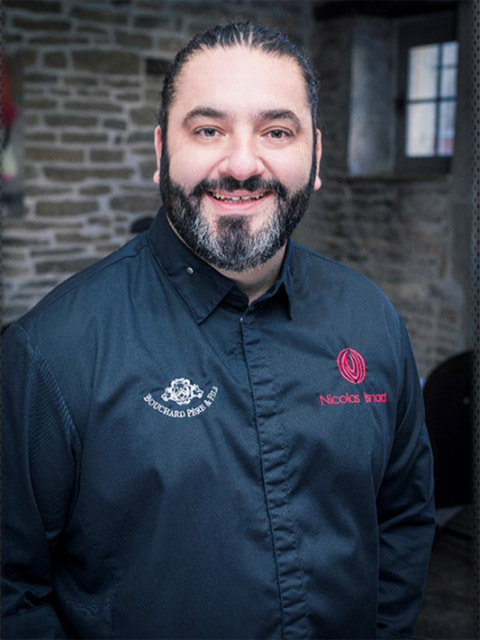 Born in Southern France, 41-year-old Chef Nicolas Isnard taste for cooking came from his grandmother where he learned to cook by her side. He started his career as a professional in France and worked with big hotel names around the globe under the supervision of the 3 Michelin Starred Chef Gilles Goujon, Chef Isnard received his own Michelin Star during his work at Château de Curzay. During his visit at Oryx Rotana, Chef Isnard will present set lunch and dinner menus at The Cellar with dishes such as foie gras and corn, jelly set oyster with caviar & iodized cream and moka anglais to name a few. The Michelin Star chef will also hold interactive cooking classes on the 18th of October. On the final day, he will kick-start the Carnival Fiesta Brunch Series at Choices Restaurant, where all food and culinary prepared during the day will have his touch of excellence. “We are honoured to welcome Chef Nicolas Isnard at Oryx Rotana especially at our two well-acclaimed restaurants. The Cellar and Choices restaurants have become a vibrant new destination for gourmands in the capital. We are always keen to invite the best chefs in the world as part of our commitment to provide best gastronomic experience and upscale services to our guests and visitors which made us the preferred destination for local and expats living in Doha, travellers and business men particularly with our high reputation and attention to the smallest details”.